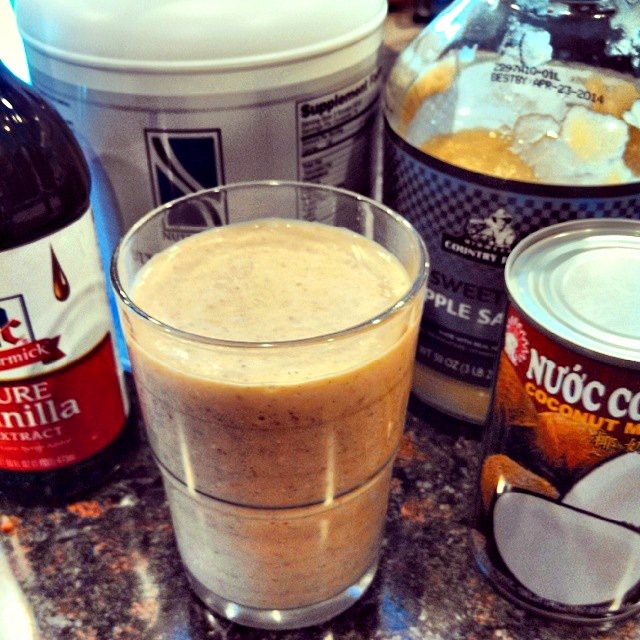 Update: I changed some things about this smoothie to make it carb-protein-fat balanced. It is still as delicious, but it also is allergen-free for those of us struggling with allergies or trying to figure out if we are allergic by doing an elimination diet. Break banana into pieces and place in blender. 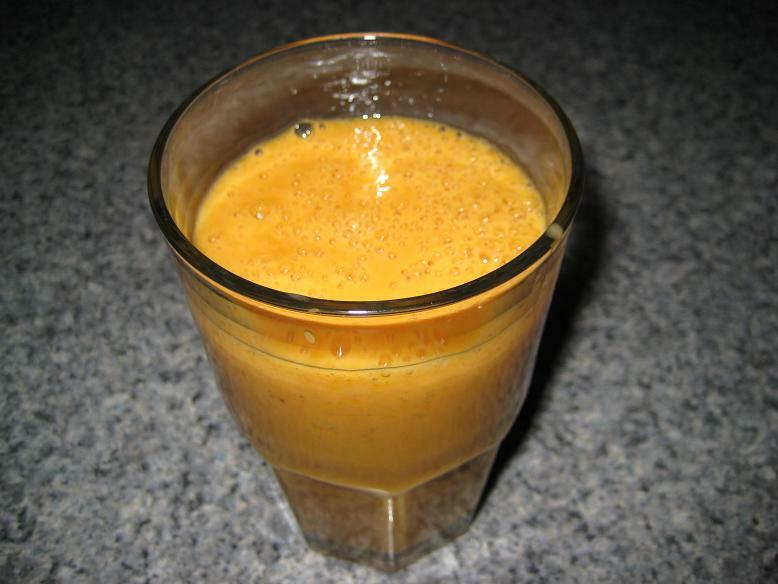 Add carrot juice, coconut milk, lemon juice, extract, and ginger. Top with protein powder, followed by crushed ice.